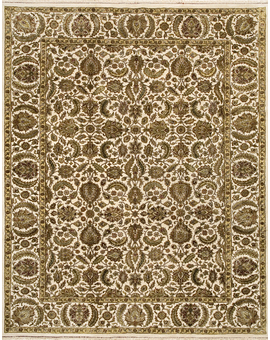 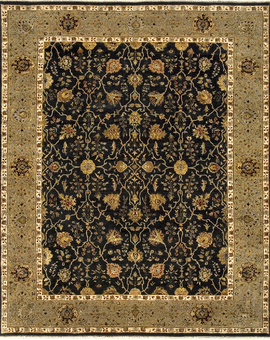 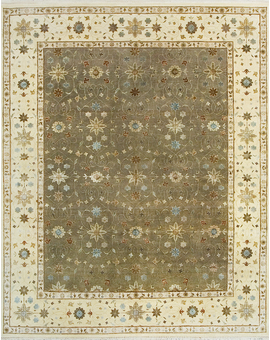 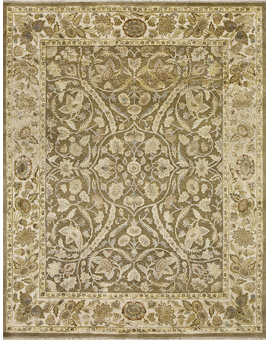 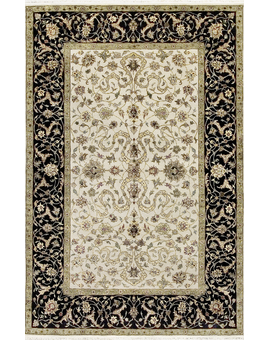 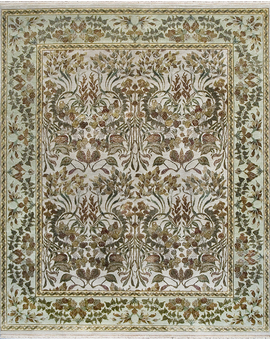 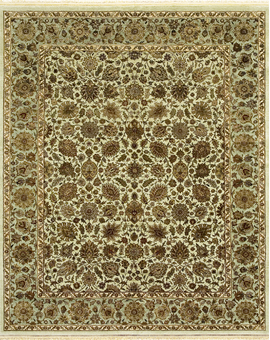 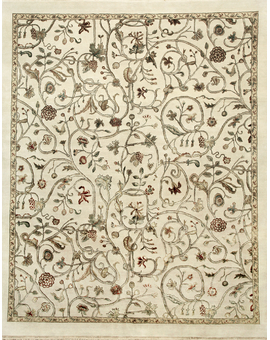 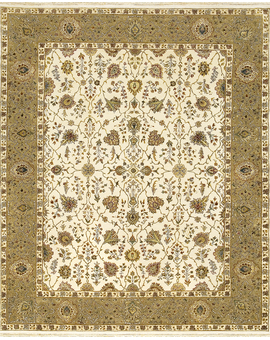 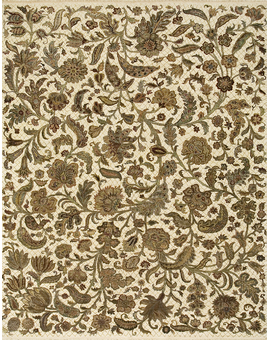 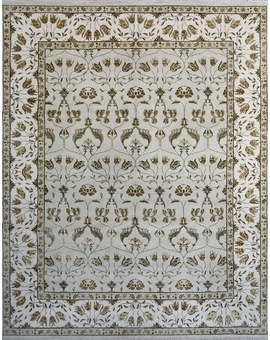 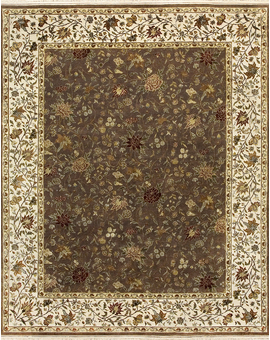 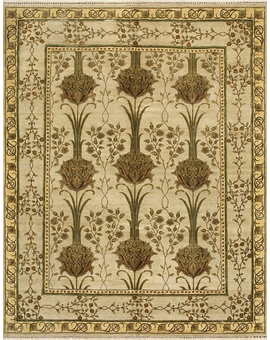 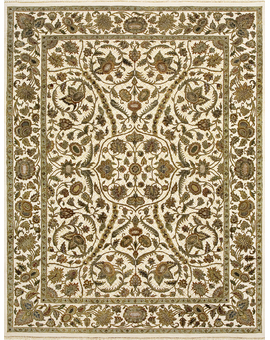 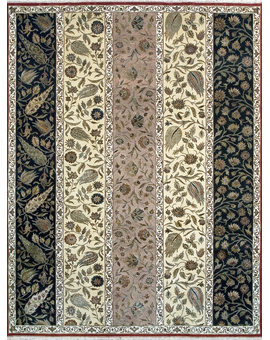 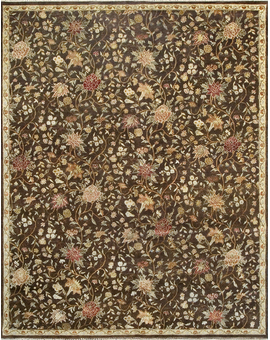 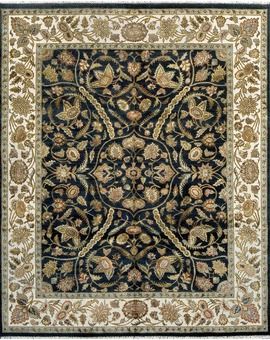 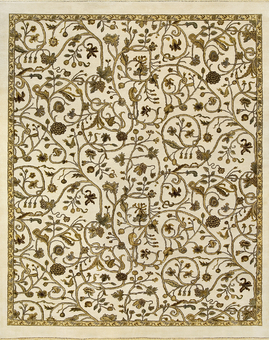 Silk flower heads bring out the highlights in these sumptuous hand woven rugs. 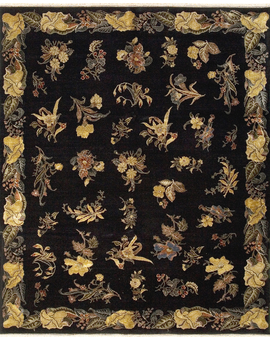 The Chantel Collection is a mixture of 60% silk and 40% natural wool. 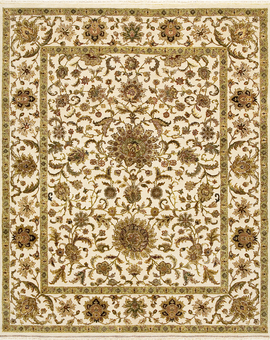 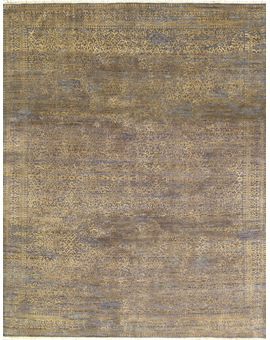 The high silk content, together with the knot count, of approximately 140 knots per square inch, shows thru in the wonderful detail and overall quality and look of these rugs.